BlackBerry and T-Mobile’s relationship over the past couple of months has been tense, to say the least. First off, T-Mobile kicked off a marketing campaign in which it told BlackBerry users that switching to an iPhone was a “great deal”. Unsurprisingly, the BlackBerry faithful weren’t too impressed, and neither was BBerry’s chief. In an effort to smooth things over (or just take advantage of the situation), Tmo launched a promotion offering anyone from any carrier $200 to trade-in their BlackBerry devices, with a further $50 for customers choosing newer models. In the end, almost 95% of those who traded in switched platforms and chose Android or iOS. For those of you still loyal BlackBerry fans on Tmo, this will come as bad news, I’m sure. But it’s not entirely surprising. You’ll be pleased to know that existing BB users will still get support from BlackBerry, but from April 25th, none of the manufacturer’s wares will be for sale on Magenta’s network. WATERLOO, ONTARIO–(Marketwired – April 1, 2014) – BlackBerry(R) Limited (NASDAQ:BBRY)(TSX:BB), a world leader in mobile communications, today announced that it will not renew the T-Mobile U.S., Inc. license to sell BlackBerry products when it expires on April 25, 2014. Ohhh BlackBerry this is not the way to go. Just because your ego was bruised does not mean you should take your ball and go home. Ha ha. That’s true. But we don’t know all the in and outs. As a poster before us commented, T-mo never got exclusiveness on any BB devices. If I remember it was the 8100 (two weeks earlier), 8900 (another two weeks earlier I believe), 9700, and I don’t remember any other ones. The rest we got months later after the other carriers. So I believe T-mo has been fed up with the relationship for a very long time. This whole situation comes across as petty and childish. Not that this decision will be the reason BB falls, but it’s ones made like this by a company with too many feelings and ego that has gotten them into the predicament they now find themselves in. This. Bb is not selling enough phones and they go and make the phones available on one less carrier. Not sure how that makes sense lol. They should be playing nice with carriers and give them incentives to push bb phones over other phones instead of being pissy. I also agree with you. But it’s very hard for people to even try a BB10 phone when the actual retail employees lead you to buy another device. As for me what I’ve been using is a Z30 unlocked, my payment went wayyyy down since removing things like long distance (skype), insurance (my device is not covered) and other bells and whistles. However, if the situation doesn’t get any better I’ll just have to look for other options. What you’re saying reminds me a lot of us Windows Phone users. I personally haven’t experienced this myself at a T-Mobile store, but I know of many people who walked into a store (actually, this happens also at Verizon stores) asking about a WP and the rep just tries to sell them an iPhone or Android phone. If the customer isn’t tech savvy or voracious about getting the phone with the OS they want, that’s exactly what ends up happening. That’s true. It has happened to me as well. I buy phones all the time. i get tired of them and sell them. But it’s true. For a regular person to go there and say I want this and that, the seller tries to tell you that their phone does that and this as well at a different price and blah, blah blah. It’s cool and all, I just wish it wasn’t that hard for someone to buy what they want. If the person really wants the BlackBerry or Windows Phone, he will get it regardless of what the sales person says. I walked into a T-Mobile store and asked to see a Sony phone on display. I was then told why the Galaxy S4 was a better phone. The look that I gave the rep led him to go help another customer. I didn’t have to say a word and I didn’t even use one of my meanest looks. If a person walks in and asks for a Windows Phone or BlackBerry and walks out with a Galaxy S4, that person just wanted a new phone and didn’t care what OS it was running. I’ve walked in and bought multiple phones on both the Windows Phone and BlackBerry 10 platforms with no problems. as notyourbusiness stated, not a tech savvy person can go to the tmobile store and want a phone (a RAZR, Flip Phone, BB, Nokia, Samsung, iPhone) and when you’re told this does this, this costs less and they don’t fully explain the other up and downs of the other brands they will buy what they’re sold. I don’t disagree with you. As I also stated, I know what I want and regardless of what they sell I’ll buy what I want even if I have to order online. Bb needs t-mo more than t-mo needs bb. Sure a few dozen customers might go to other carriers because of it but not enough for t-mo to freak out, so good riddance lol. I agree with you. Although there aren’t that many BB users me personally I’m fed up with the way T-mo is handling this and other issues such as corporate accounts, my warranty exchange among other things. My next move is go to Verizon and start paying $40 more (for less) but better coverage. If you think about it, tmo always got the crappy end on almost every BB release. 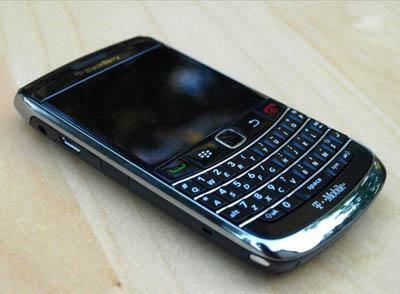 The only time Tmo was first to release a BB was the 9700 and that was just two weeks before at&t. So tmo just kicked the used to be giant down. Actually, what you’re saying is pretty accurate. You are right. I used to be a blackberry fan and did not move to Android for a long time. I wanted a touch screen BB and was most horrified when BB made an exclusive deal with Verizon or AT&T. I wrote on the blog then that BB is copying Apple and this will be most disastrous for them. Instead of courting T-mobile customers who do not have iPhone they are doing opposite of their long term interest. I soon dumped it and moved to Android even though I wanted an iPhone on T-mobile. By the time iPhone came on T-mobile, I had fallen in love with Android, so iPhone and BB lost out due to their ‘exclusive” deals. I will never go back to either companies. Can’t wait for my SGS 5! Sadly, no one will notice. It means he’s still pissed about Legere telling BB users to switch to iPhone, lol. Contemporary* is the word because Blackberry’s devices are stuck in the 20th century. Last time I checked, you need a ton of apps to survive. Should’ve used Android as a kernel and Blackberry services as a premium service for free for BB users. Just minus the locked down software like the Nook and Kindle have. It’s not us, it you. The best thing Blackberry should do it to out this CEO, WOW. What he’s doing is a very bad business decision for his company. Tmo probably decided not to renew the contract back before the iPhone promotion. Let’s BB save face by making the announcement. I wonder what will TMO do now with all bbs they have in their warehouses? Big discount sale? Any TMO reps or sale mangers care to tell us? I have no knowledge of what they’re going to do but I would guess inventory levels are pretty low now and some will be used for warranty and insurance replacements. The rest they will probably just let them slowly sell because its the last stock they will have. Z30 and 4GLTE make a great couple. Yeah but that $130 bill a month causes a lot of breakups. I’ve a family plan and the problem is the web. Which means I’ll have to watch it closely. If it was like T-mos that it doesn’t have any overages I wouldn’t even care. I’m not following your logic in that BlackBerry devices made T-Mobile look second-rate. You say that you saw “big name mobile device hardware” when you first walked into a store, then BlackBerry devices in the back. A couple of months ago, the same could have been said for AT&T and Sprint stores. Verizon Wireless has BlackBerry devices in a place that is somewhat prominent and definitely wouldn’t be considered the back of the store. If other carriers display BlackBerry devices, how would the same action make T-Mobile look second-rate? Actually I wouldnt say a couple of months ago this was true for ATT ….ATT started depleting their stock of Blackberries Months ago…As far back as before Thanksgiving, you could walk into at ATT store and literally see maybe a little section of Blackberries and instead See HUGE selections of other devices like Samsung, IPHONE, Motorola, Etc…. To Me…and this is my opinion…going into a TMO store with all their blackberries perched up everywhere vs devices from other manufacturers made it look like it was all that TMO could get…Tmobile has gotten significantly better in their stores now with tons of new devices….and BB is no longer a major player but it just reminded me of second class to ATT and Verizon who simply had better devices and weren’t selling nearly as many varieties as TMOBILE. LMAO… Chen must have really gotten his drawers up in a bunch over John Legere urging BlackBerry users to switch to the iPhone. They grow in my yard. I don’t care about that kind either. This really upsets me and 3 other people. Tmo should be worried – almost half a dozen upset people. LOL. I think that this is worse for BlackBerry than it is for T-Mobile. Exactly…people in the Tmo stores almost NEVER had customer for Blackberry. It cost tmobile more to carry it! They don’t want it anymore. THAT is why they keep offering bonuses if you traded in your blackberry for IOS or Android devices! I have worked for T-Mobile for the last 8 months and honestly I have NEVER EVER sold a BlackBerry. That should speak for itself. Blackberry is losing ground for iOS and Android and Research In Motion knows that. Blackberry hardware should be gone in couple of years. Instead, Blackberry apps are coming on different platforms including desktop and mobile. They haven’t been called Research In Motion in over a year. That’s because they haven’t been “in motion” in … what … five? Im pretty sure Blackberry needs Tmobile alot more than they need Blackberry. Or they’ll die.. up to them..
T-Mobile thought they had the upper hand and demanded an exhorbinant fee to continue carrying BlackBerry devices, even though they would only sell them online. BlackBerry called their bluff and cancelled the sales agreement. T-Mobile is already in an extremely weak position with corporate customers and this will not help. Say what you will but BlackBerry makes the most secure mobile device available and, though a niche market, corporations will continue to use them for essential employees working with sensative data while allowing administrative assistants to check their email with BYOD. Hmmm…I work for a MAJOR company and we dumped Blackberry TWO years ago. I don’t think Tmobile will have a problem. I’m sure they are glad Blackberry is gone. They were trying to get people OFF of blackberries. Same here. Our multi billion dollar company began giving you the option of iPhone or blackberry three or four years ago. Now you just automatically get an iPhone. I disagree, if anything they are even mor attractive to corporate customers with their international roaming being included. And even the corporate customers which were once the die hard blackberry users are moving from them. This is another stupid move for BB. You need to catch up with times Pal. T-mobile gives free texting, free unlimited data in 120 countries with NO extra international coverage like BB charges. Our company dumped BB long time back. Every device can now have part of the data locked up with protocol from work. BB has been a dead man walking for some time now. My suggestion for you is a class in reading comprehension. What you said in your post was the same point I was making about Tmobile. What’s the use of getting unlimited international data roaming in other countries when you can’t get unlimited data roaming in the US? Well T-mo is going to allow current Corp discount subscribers to keep it. I love my Z10 and having the wi-fi calling is a great feature for my enterprise use. I was really hoping that the next batch of BB10 phones would come to t-mobile. Every Android phone on T-mobile has Wi-Fi calling now a days. Nexus 5? Motorola Moto G? Who cares? President Obama is switching to Android anyway. Look it up. Who cares what Obama uses? ‘Oh no!” – said all 3 Blackberry users on T-Mobile. Does BB sell phones direct? If someone really wanted to use a BB on TMO could they just buy one unlocked and then activate it on TMO? LOL I’ll get right on that. Just like all electronics, it’s always more expensive buying direct. A better choice would be to go through ebay or amazon. LMAO!!! I was thinking the same thing..They must be talking about the globe that sits in their office..
What in the world is a Blackberry??? It’s the precursor to the TI-82. Only with the ability to make phone calls and send emails. “Valuable space in retail locations”? T-Mobile has not carried BlackBerry devices in their stores for 6 months. And its a smartphone, not a Boeing 787, how much space do you think it “takes up” in a store to have one or two on display? Every T-Mobile store I have been to has been very sparse with a ton of unused space. The new and previous CEO arent helping the matter and only have drained BlackBerry for its worth, 2% of the smartphone market. BlackBerry is not what it once was,even the.US Government is no longer going to use Blackberry. They have released several attempts to the market via trend that is going only to fail. Yet the new CEO wants to release the old style phones again, such as the tour etc..Blackberry done..and obviously it is not John Legere T-Mobile CEO fault nor per say BlackBerrys new CEO Customers no longer want Blackberry that is obvious when Mr Legere presented $200 trade in on new or broken.and $50 credit towards new blackberry or if they chose a ios device apple or android and all or a majority chose new platform. So for to say its TT-Mobile fault nope..the people have spoke BlackBerry is old and now has been retired. Relaity apparently the New CEO at BlackBerry cant take. Blackberry customers on T-Mobile remind me of the background extras on Lost. They’re on the island, but they’re not essential to the plot. You remind me of a few of the characters on Lost that blindly do as they’re told without ever considering their options or making their own decisions. Whatever the latest fad phone or product is you buy it without question and attempt to disparage those who don’t blindly follow with you and the other lemmings. I don’t see how they got owned honestly… Everyone knows blackberry is crap hopefully the nightmare will be over soon and they just disappear. Get in line lemming, I hear the newest iCrap is coming out ….only took them 3 years to develope the same model with a gold case……or maybe you use Malware ridden Hackdroids…how that banking app working out for ya? Add me to that category too. I’m on my 3rd Windows Phone. Here too, and all 3 members of my T-Mobile account. Switched from 2 Androids and 1 Blackberry and haven’t looked back since. I’m leaving Tmo unless they get a better selection of Windows phone 8.1 and most people I know are using Windows phones. Blackberry is only hurting themselves. Every major US Carrier isn’t selling any Blackberry devices. Blackberry is being stupid, they are sinking faster and faster, taking away their devices from one of their major sellers isn’t very intelligent. I guess that is why they are where they are. This just leaves more room on the T-Mobile shelves for the better devices. “Major sellers”? “More room on the T-Mobile shelves for better devices”? You do realize that T-Mobile removed all BlackBerry devices from its stores 6 months ago and has been the lowest volume seller of BlackBerry phones out of any carrier, right? Then of course there is the little issue of the company and its CEO publically attacking BlackBerry and actively trying to get users to switch devices. Why would ANY manufacture or vendor partner with a company like that? Didn’t know there were anyone still using BlackBerry devices. Funny though. I didn’t know there was anyone still buying Porsche cars considering their sales are 0.4% of BlackBerry’s smartphone sales. Funny though. Blackberry’s are the KIAs of the phone world, not the Porsche. Really funny as in Porsche don’t make cars for you and I but for the 0.4% of luxury car buyers. BlackBerry is currently in a sales contract with T-Mobile during which T-Mobile pulled all BlackBerry devices from their stores, have them only sporadically available online and on the phone, created a marketing campaign to entice BlackBerry customers to switch to an Apple iPhone, and made disparaging comments about BlackBerry and its CEO on Twitter, and everyone thinks BlackBerry is hurting themselves by not renewing the sales agreement? T-Mobile has not and was not going to sell BlackBerry devices anyway. By rescinding the agreement it opens up BlackBerry to be able to sell directly to consumers whether online, through their own stores, or third-party vendors. They can now push OS updates as they become available. Last, but not least, they don’t have to pay the exhorbinant fee T-Mobile was demanding to renew the contract while actively working to impede the sale of BlackBerry devices. BlackBerry is going Uncarrier on the Uncarrier. This is a great move. 95% of people who took that BB offer switched to other devices. BB is out of date and out of touch. Good riddance. I took that offer. I have three BlackBerry 10 devices on my T-Mobile account and still have the same three BlackBerry 10 phones after the offer. I made over 800 dollars after accounting for expenses thanks to T-Mobile arrogance. Do a search for Slickdeals BlackBerry 200 to see a 489 page thread where iOS and Android users were making hundreds if not thousands of dollars in profit from T-Mobile’s offer. Then come at me with that stupid 94% figure again which never took in to account whether those were active, in-use phones or junk drawer phones collecting dust for years. I partially agree. Some of those 94% would have been old, disused BlackBerries. But not all of them. But the fact that they didn’t then switch back to brand, shiny new BlackBerries is still what the real talking point is here. It’s not about what they traded in. It’s about what they didn’t buy. They didn’t buy BlackBerry. In other words.. only 6% of people taking in phones walked out with a BB10 device. That’s a bad figure which ever way you look at it. And honestly, as a former BlackBerry addict, and fan, that’s painful to see. i know where there is one BB on I-75(SB) in-between Tallahassee and I-10. Given I actually know the roads in Tallahassee living there, I don’t think you can really get in between I-10 and Tallahassee. They do sell Blackberries in the two T-Mobile stores I have been to (one in Feb, other last week but scarcely). “only 6% of people taking in phones walked out with a BB10 device” that’s the problem right there: “walked out”. They couldn’t walk out with a BB10 device because T-Mobile didn’t stock BB10 devices in any of their stores and didn’t offer them on the website until 2 weeks in to the promotion. Additionally, I think the most telling statistic would be the one that told us what people actually bought. If the purchasing statistics matched the general purchasing statistics for people getting phones not related to the offer then that would be one thing. But if the purchasing was skewed towards the cheapest available phone that left $130 service credit per each line of your account for doing absolutely nothing then it proves that people were not “upgrading” their active, in-use device but were rather profiting off of T-Mobile’s arrogance. no… black berry is just crap and you won’t admit it, any logical sales rep would know this and you’d have to be insane to buy the pieces of junk they offer….I seriously wish that company would just go away and get bankrupt. Any trade ins in excess of one per line was against the terms of the deal, and it was endemic in our region, to the point where we were actually allowed to turn away blackberry trade-ins towards the end of the promotion if you’d made an upgrade on your line in the past 14 days. also, you are the most butthurt BB fanboy i’ve ever seen. If the phone lacks T-Mobile based wifi-calling functionality, then this direct to consumer world you speak of is stillborn. My first blackberry bought for personal use had wifi calling and it was the main reason I bought it when I first hopped on T-Mobiles network. Considering T-Mobile didn’t have great indoor coverage or a strong national foot print it was the killer app as far as voice and messaging are concerned. When other smart phones started coming out with a more robust app market, with the basic ability to also function as wifi hotspot, and eventually native wifi calling, my reason for sticking with blackberry was gone. Also, not sure how new BB devices will work unless T-Mobile agrees to provide BIS or BES services thru some arrangement. For current may not be an issue, but how will this work once their device dies? Someone else mentioned this here or elsewhere. I think T-Mobile’s management probably let Blackberry make that announce as a PR face saving exercise. Stocks taken a huge dump since the T-Mobile BB promotion. That said, T-Mobile made a crazy trade-in promotion. That marketing stunt probably stung the company financially as well. That is how I also ended up with my BB on tmo. Then I got exposed to BB’s crappy firmware and non-updates. (eg if you paused the media player the phone would get hot and drain the battery in an hour). It was fixed in later firmware versions but never for tmo. I loved the permissions system, but apps were mostly horrible. I also happen to be a software developer and trying to write apps for it was incredibly hostile. Also the bluetooth hardware failed (common problem) about two weeks after the warranty ended. There is nothing that could get me anywhere near BB again. lol yeah OS updates, I guess now they’ll take about a year instead of a year and one month…MAYBE… This will just isolate them more in the market. Most of those comments were probably true anyways to say the least. Hahaha, that was funnier than anything I ever heard TmoDave ever say. Good one Cam. i guess their doing so good they can choose which carriers get the products. T-Mo: So, what’s your strategy? BB: We’re going bankrupt! Yay! I’m a 9 year T-Mobile customer, had a Mr. Cartoon Sidekick 2 and stood in line to wait for the Sidekick 3 outside a T-Mobile store in Santa Monica the day it launched. I got a BlackBerry in 2007 and have had one ever since, and will be leaving T-Mobile for at&t whenever the new BlackBerrys launch (at&t isn’t dumb enough to follow T-Mobile’s lead on this matter, I’m sure). T-Mobile essentially hid BlackBerrys in the stockrooms of stores, and made it practically impossible and hugely inconvenient for someone to buy a BlackBerry. Granted, not a lot of people were/are buying them, but there is still a core group that will always buy them. I’m not suggesting that stores carry a massive inventory of BlackBerry devices. But have a Z10 and Q10 on display. Have like 5 of each in stock. They’re great at what they do, and most BlackBerry users, like myself, know what they’re getting when they buy a BlackBerry. We know we can buy an iPhone or Android, we just don’t want to. John Legere seems really willing to work with BlackBerry, so it’s a shame that this willingness wasn’t showing itself earlier when they were still partners. I agree with Legere that choice is a good thing, but if he really believed that, maybe he wouldn’t have let so many T-Mobile stores conceal BlackBerry as a choice. Also, why doesn’t the author use a different image of a BlackBerry, like maybe one that didn’t launch in 2009? Blackberries are garbage, we don’t sell any at at&t either and I wish we got rid of them from our stores too, in fact I can’t even remember the last blackberry I sold over the past year and a half lol…. They should probably partner up with Sprint more though since they’re both fails as companies, I wish we could say good riddance to them as well, anytime I’ve seen one be sold by anyone else I’ve seen it come back which is not surprising when its a crap phone from a crap company. At a previous T-Mo Corp store rep, GOOD RIDDANCE!!! They were nothing but a pain. BlackBerry wouldn’t allow us to do anything in store or they wouldn’t honor the warranty. BB is a walking dead company, Palm and WebOS was 200% better,we were begging to sell those and ditch BB years ago. Oh well. At least the current store reps can concentrate on Android, iPhone and Windows Phone. And one other thing,the people that did come in with the BB’s,were arrogant a$$’s. Very rude and curt everytime. According to them,it was our fault the phone was defective, and WE had to do something about RIGHT THEN!! Imagine women from Jersey Housewives coming in with attitudes demanding for YOU to fix it NOW!..When we told them BlackBerry required us or them to call them, they would get upset with US in store and demand a manager. WHo told them the same thing.They would stomp out saying they don’t have time to call them and saying they were going to get everyone fired. And of course,those seemed to be the ones to get the random survey calls that effected our bonus.. Cya RIM,kiss off. Africans love Blackberry. As a TMO rep who has a lot of African custi’s , I wish we could still offer them. Disclaimer: I would personally not buy one with my hard earned money until they get a competative app selection. Good riddance. Blackberry = Paperweight. What started the BlackBerry fall from grace was when the Government & Military started allowing iPhones and Android phones for Government & Military business use. Since then, their numbers have dwindled much like when Nextel lost its contract with the Government.